I am, by no means, an outdoorsy person, and with just a few exceptions (e.g. poolside under a canopy, or relaxing in the shade of a palm tree on the beach) I much prefer indoor activities. The last time I went camping I was pregnant with my 6-year old and ended up sleeping at a hotel; before that, I was a kid at my family's annual Yosemite camping trip, and I always opted to sleep in our minivan rather than the tent. But since then, camping has gone full-on glamorous, from tents with chandeliers and luxe bedding to gourmet s'mores and catered meals. 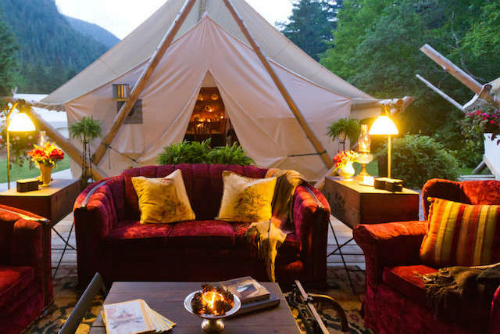 I love the idea of a fun glamping trip with my closest girlfriends so I've put together a few ideas for the girls-only glamping trip of my dreams. Instead of cans of sodas, the ice chests will be filled with champs. 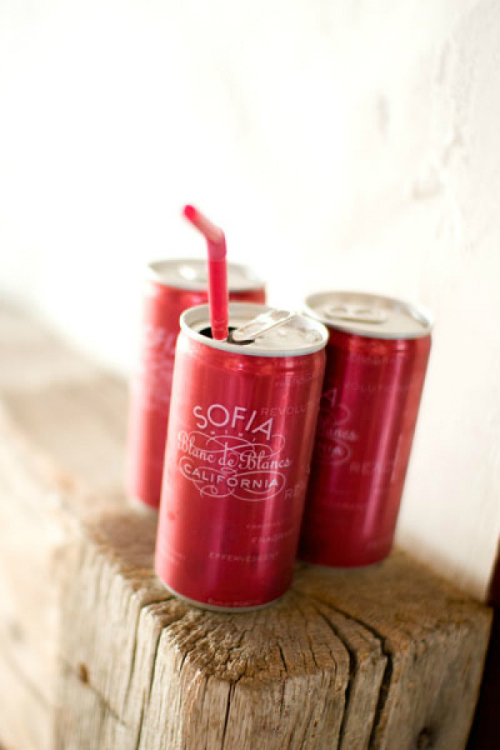 These pink cans are so girly and cute, and sipping on champagne, even when you're "roughing it," is the fastest way to elevate any occasion. I'm a firm believer that good food should be a part of any fun experience, so I'm not roasting any weinies on my glamping trip. 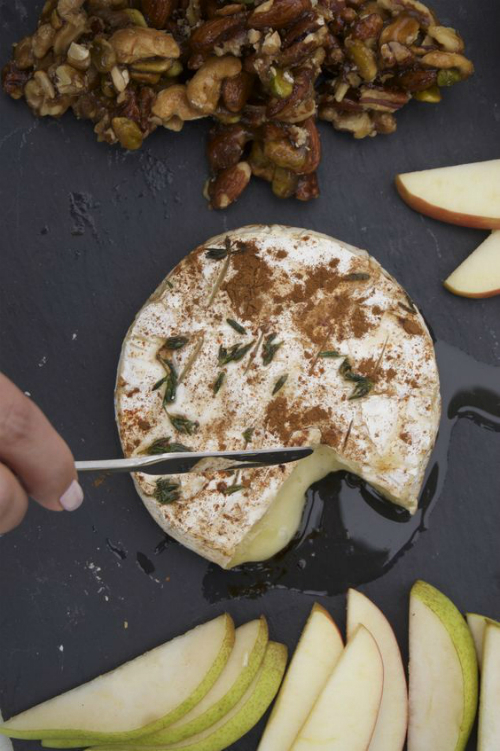 I want to eat warm brie and fresh fruit, fire-grilled pizzettes, gourmet desserts, and of course s'mores. 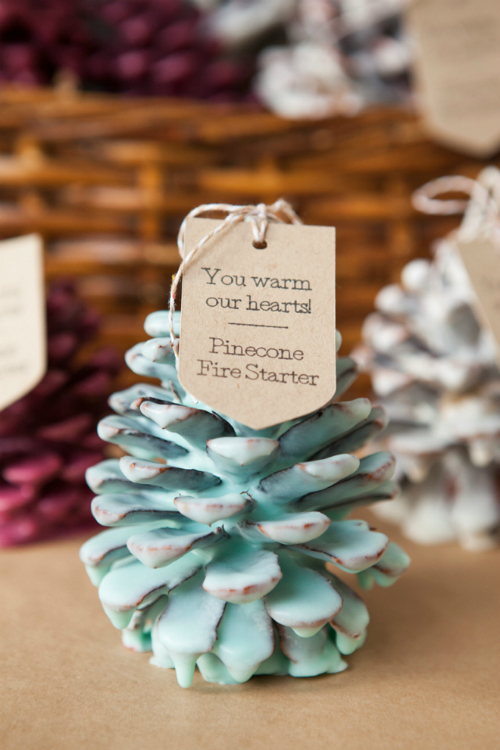 I've never started a fire in my life, but I imagine it would be much easier with the help of these terribly adorable pinecone fire starters (so much more chic than the twisted paper towels or toilet paper rolls I've seen other people use). We'll pass on the paper and styrofoam cups, thank you. 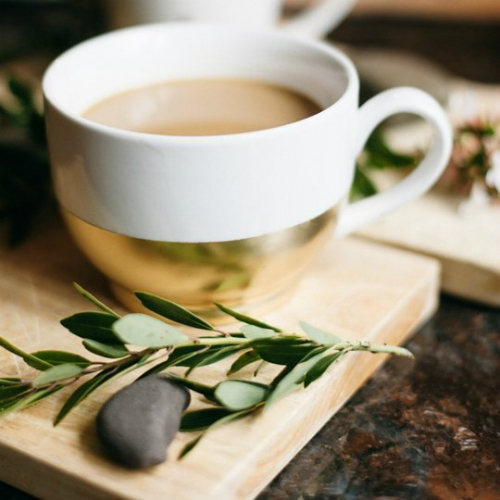 Like true ladies of leisure, we'll take our coffee in the morning (and spiked hot chocolate at night) in real mugs, preferably dipped in gold or sparkling with glitter. To make our dining table (i.e. 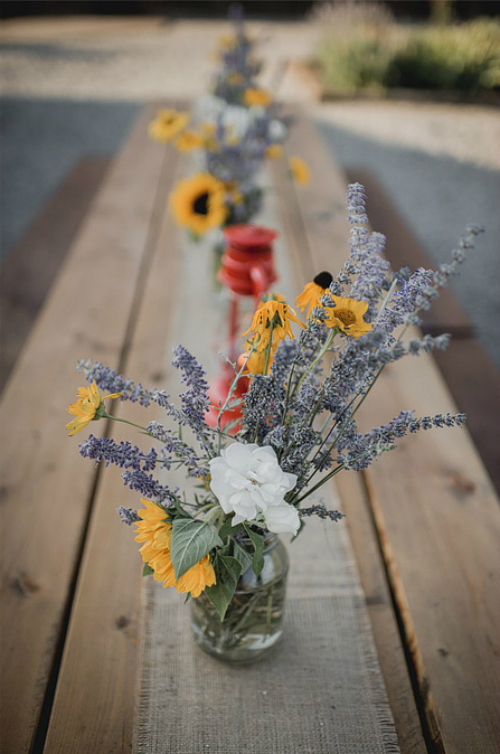 the wooden benches provided by the campgrounds) look extra pretty, we'll pick wildflowers and place them in mason jars for a simple and rustic yet chic tablescape. 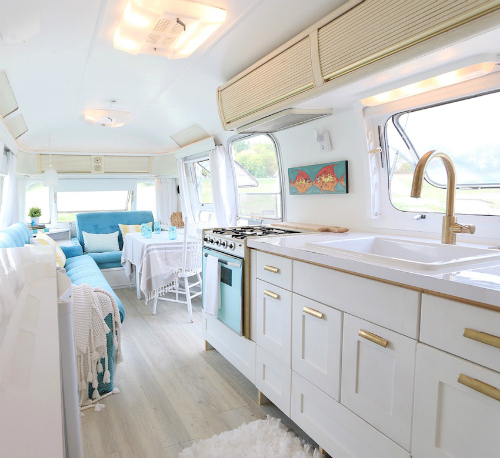 A restored vintage Airstream is the perfect place to chill out in the day and lay our heads at night. Shop my favorite glamping essentials like faux fur throws, swanky coffee mugs, designer sunglasses and even a portable hot tub for the most epic and stylish glamping trip ever!